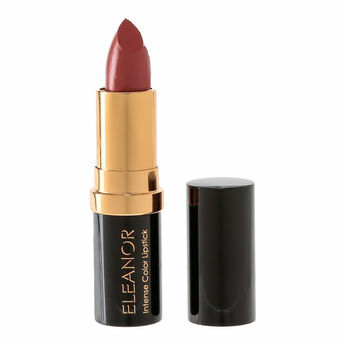 Eleanor Intense Color Lipstick is a veil of pure, intense color with a focused treatment action for soft, hydrated and smooth lips. It revitalizes and nourishes lips without compromising shine, color pureness and wear. A high performing treatment lipstick that gives you full, pure intense color with a high shine finish. Lips are protected from dryness, revitalized and moisturized. SPF 15 Moisturizing & Revitalizing Anti Ageing Lipstick. Calendula Officinalis flower extract / Apple Seed Oil protect your lips from dryness & sun damage and give added moisturization and nourishment. Presented in a Metal case with secure click closing cap. Explore the entire range of Lipstick available on Nykaa. Shop more Eleanor products here.You can browse through the complete world of Eleanor Lipstick .